Ah, the messy bun. It’s the pinnacle of relaxed, effortless beauty. 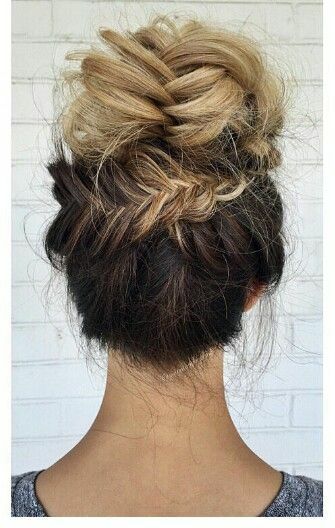 While it might seem like a messy bun would be extremely easy to achieve, it can actually be very difficult to get your messy bun to casual perfection. 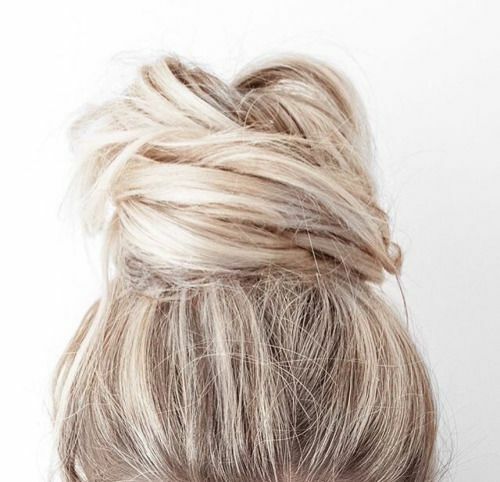 If you want to pull off a natural, relaxed look, a messy bun is your go-to. Keep reading to learn how to wear a messy bun flawlessly every time. Much to the lazy girl’s delight, a messy bun works best with slept-on hair, especially if it hasn’t been washed in a day or two. Start with dry hair. Spritz in some sea salt spray to add some texture to your hair and help it stay in your bun more easily. Add just enough sea salt spray to texturize your hair; make sure you don’t add so much that your hair becomes too damp. 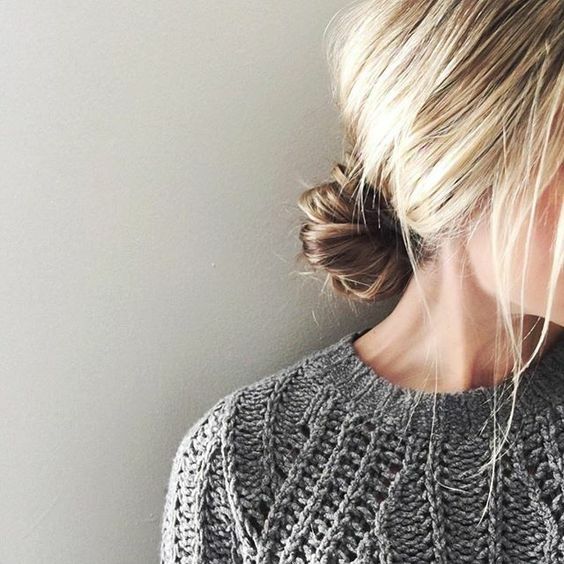 The first step to the perfect messy bun is putting your hair in a ponytail. If you can, try to create a smooth ponytail without brushing your hair back. Use your fingers to comb through your hair rather than a brush to avoid an unnatural, slicked-back look. Make the ponytail at the level you want your bun to be; do a high ponytail for a traditional messy bun or a low one for a lower version. To add some volume and intentional frizz to your messy bun, try teasing your ponytail before you form the bun. Spritz a small amount of hairspray down the length of your ponytail, avoiding the hair that is not in the ponytail. Then, use a fine-toothed comb to backcomb your ponytail toward the base to achieve the perfect light tease. The final step to creating your perfect messy bun is twisting it. 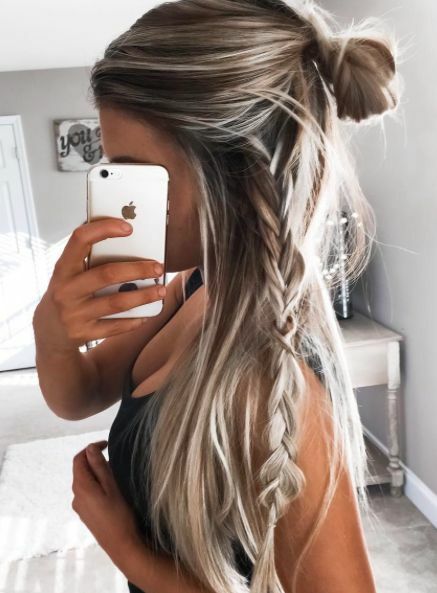 Starting from the base of your ponytail, twist your hair tightly into a round, bun shape and secure it with an elastic that matches the color of your hair as closely as possible. Use your fingers to pull and manipulate the bun into the perfect shape once it is secured. 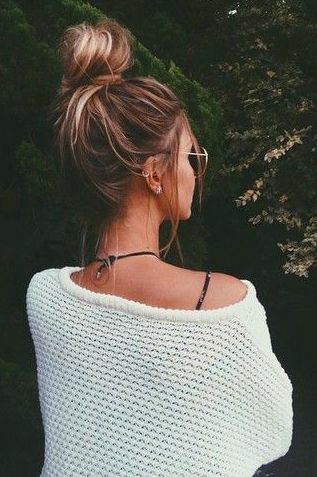 If you have a little extra time to create your messy bun, try leaving some straggling hairs in front of your ears that are not included in your ponytail. Spray them with some more texturizing sea salt spray and use a curling iron to give them a loose curl. Pull and separate the curls to give them a more natural, imperfect look. If you really want your messy bun to pop, it is important to pair it with the right clothes. Messy buns scream casual, so try to match yours with a relaxed outfit. A T-shirt and jeans or a casual sundress look great with a messy bun. Just stay away from more formal outfits like skirts to avoid creating a contradictory look. 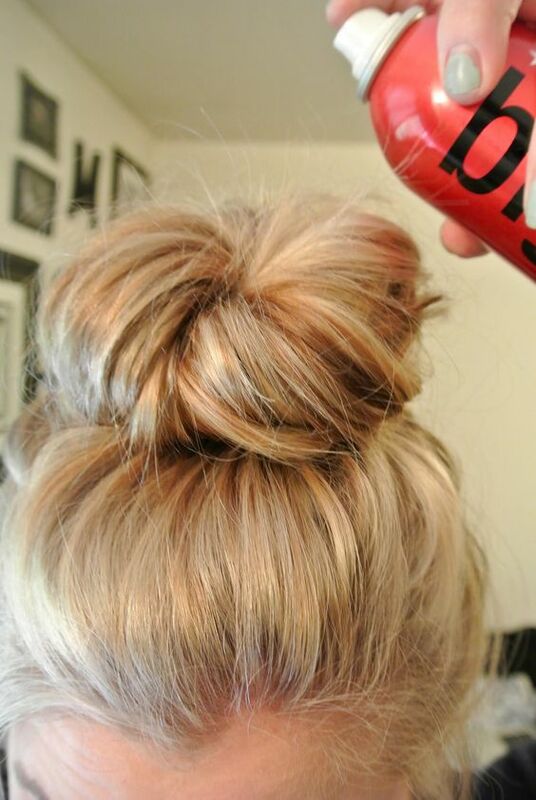 Once you achieve the perfect messy bun, you want it to stay secure all day long. This can be tricky, because you don’t want to blast your head with hairspray and create a slick, crunchy, fake finish. The best way to make sure your messy bun stays secure is by adding bobby pins. 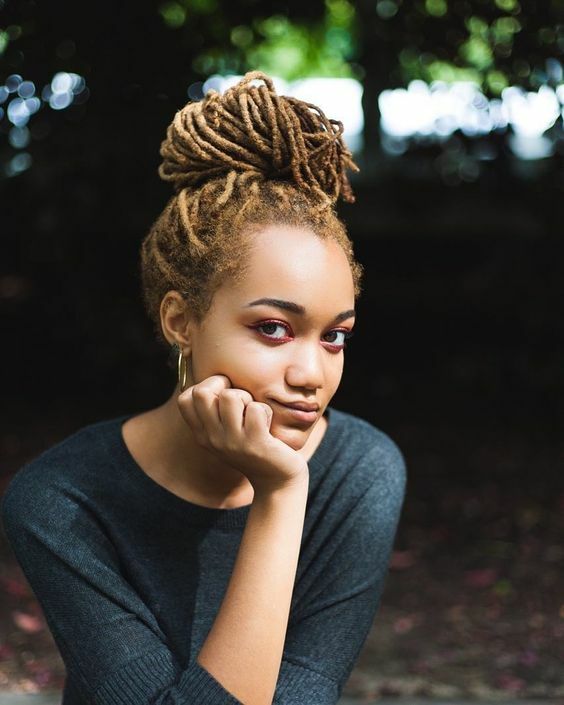 After you finish twisting and securing your bun, insert a few bobby pins to help it maintain its hold. You can also finish your look by spraying it with a hairspray formula that leaves your hair soft and does not add a crunchy finish. Achieving the perfect messy bun is not as easy as it looks. Trying to perfect your messy bun can be extremely frustrating, but there’s no need to give up hope. 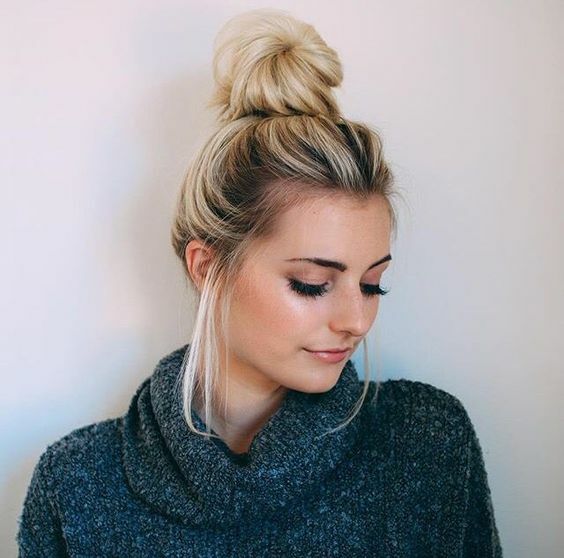 Use the tips in this post to discover how to wear a messy bun for a gorgeous casual look.